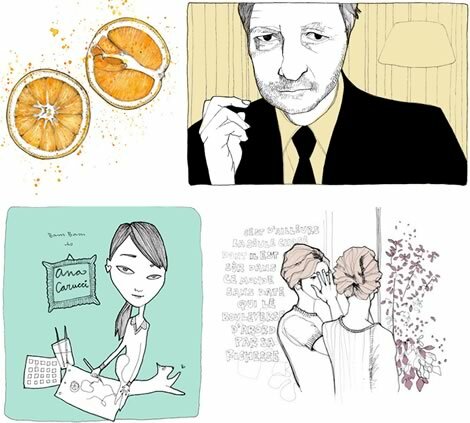 Ana Carucci of Buenos Aires, Argentina is a brilliant illustrator whom I came across over at the fabulous Warmtoast Cafe, a website with hundreds of portfolios at your fingertips, a thriving creative community for artists and for those of us on the prowl for work that we connect with. I wish I could find out more information about Ana (I googled her, no luck! ), but for now, all I have is a link to her portfolio online. Enjoy Ana and all the others featured over at Warmtoast Cafe. It's a fun site to search!